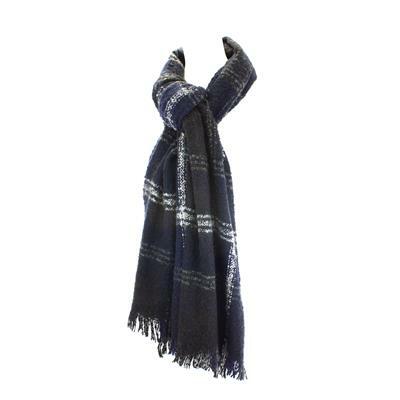 Invite checks into your new season wardrobe with this navy multi-tone scarf. Featuring a tassel trim and soft touch, it's perfect for looking stylish but keeping warm at the same time, in this icy weather. Very pleased with this scarf, very warm a nd comfortable and not heavy around your neck.